We have a strong foothold as Manufacturer, Supplier and Exporter of AISI-SUS 302 Stainless Steel Seamless Pipes & Tubes in Mumbai, India. They are designed by our team of adroit and experienced personnel using top of the line quality Stainless Steel that is weather, corrosion and abrasion resistant. 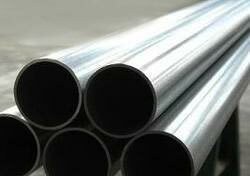 Our Pipes and Tubes are offered by us at minimal rates. Feel free to place bulk orders and we assure timely deliveries without any delays.